When Mary Lennox's parents pass away, she is sent to live in Misselthwaite Manor, her uncle's enormous house. Mary is considered a spoilt and ill-tempered child, but with the help of a gardener, a robin redbreast and two new friends, she discovers a garden full of magic and vigour that begins to transform her own personality in the most astonishing of ways. 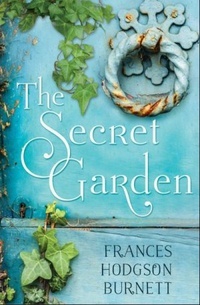 The Secret Garden is a powerful and much-loved classic for children and adults alike.